Select device from connected device list. 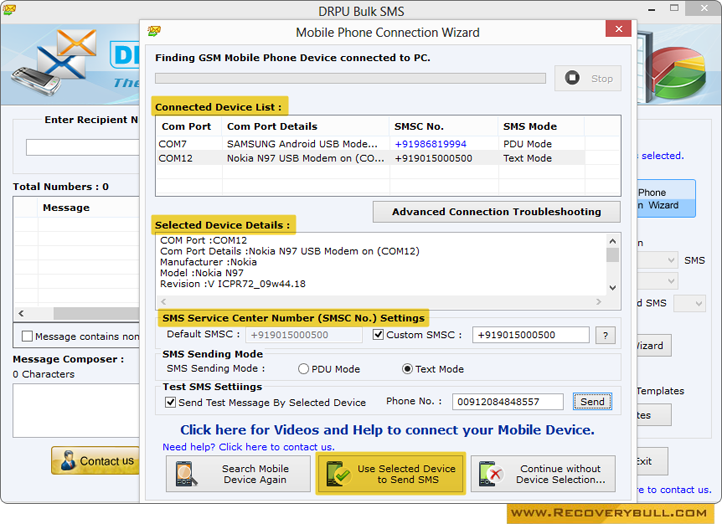 Details of selected devices are shown in “Selected Device Details” box then click on “Use Selected Device to Send SMS”. 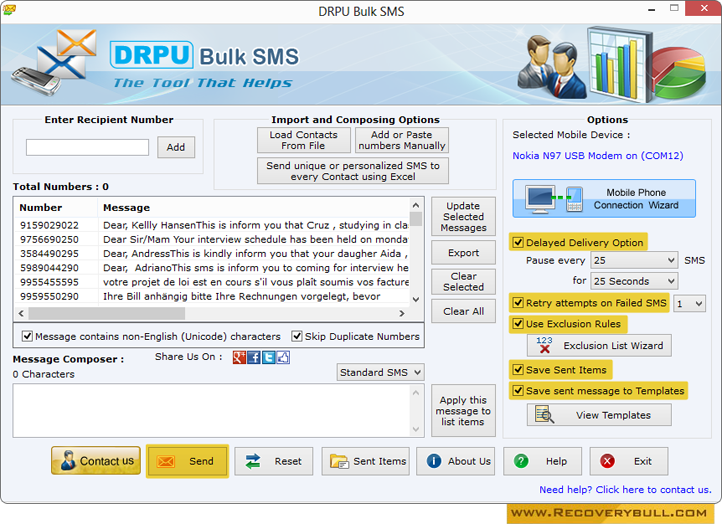 Choose options like Delayed Delivery Option, Use Exclusion Rules etc from right panel of screenshot then click on “Send” button for message sending process. 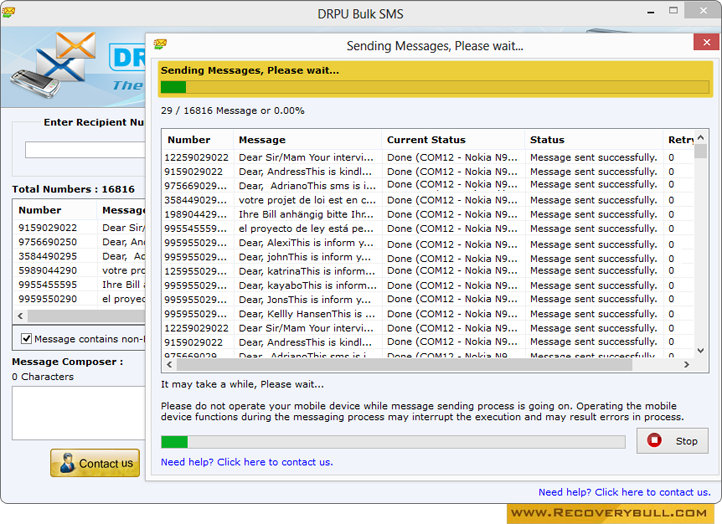 Currently performing SMS sending Process.